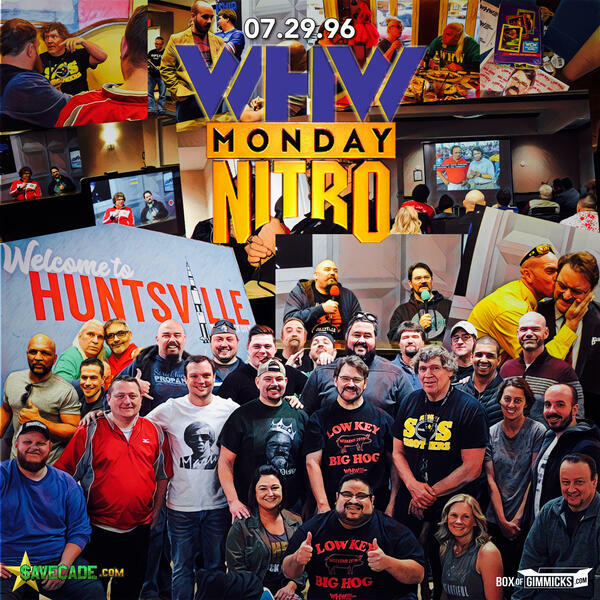 Join Conrad, Tony and the attendees of the very first Low Key-Big Hog Convention as they watch one of the most memorable WCW Monday Nitro episodes ever. Right out of the famous Bash at the Beach and formation of the NWO, the "Outsiders" were on the attack. The result was a disruption of a television show and an event that forever strained the relationship between WCW and Disney. There were some memorable matches, like Eddie Guerrero against the Boss and a big six man tag with some of the biggest names in WCW. The promotion was about to take off on a red-hot run, and this episode of Nitro was part of that story. Join Conrad, Tony and Eric Bischoff for What Happened When in 83 Weeks this Fri. Mar 22, 2019 8:00pm - 10:00pm CDT at C2/E2 at McCormick Place in Chicago.